A.I; DDVP 1000EC. Contact stomach poison, acting as Agricultural Insecticide-Acaricide. 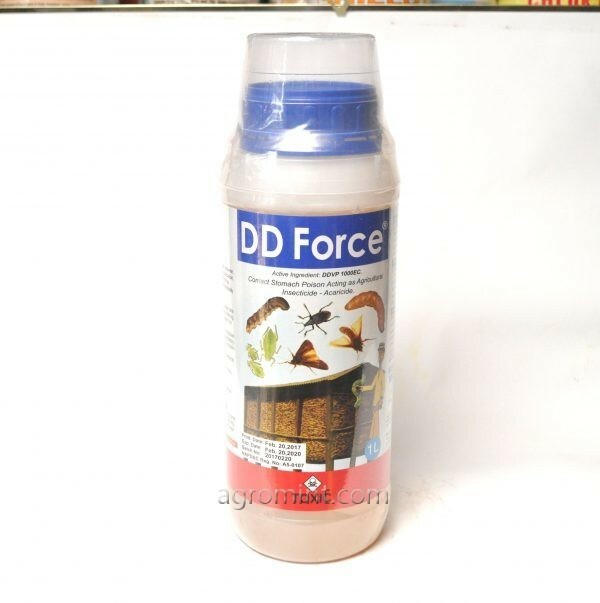 DD Force is a Strong poisonous to Agricultural pests with stomach, contact and respiratory action. It is effective against aphids, spider mites, caterpillars, thrips and white files. DD force controls sucking and chewing insects and spider mites in a wide range of crops, Including fruit trees, vegetables, rice, wheat, maize, cotton and cocoa.